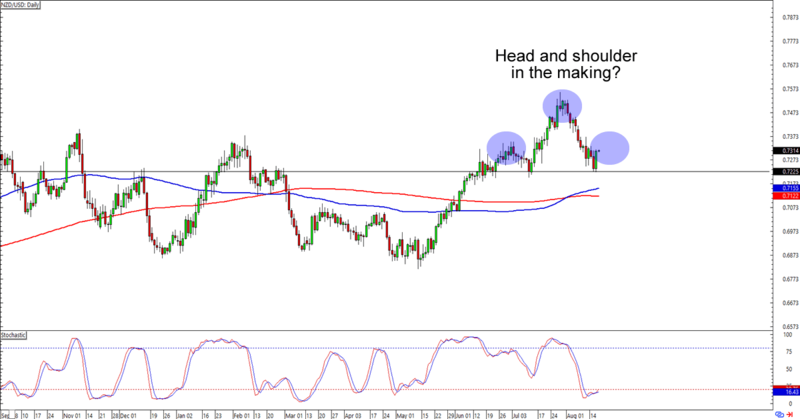 Chart Art: Reversals for USD/JPY and NZD/USD? Another day, another chance to make pips! 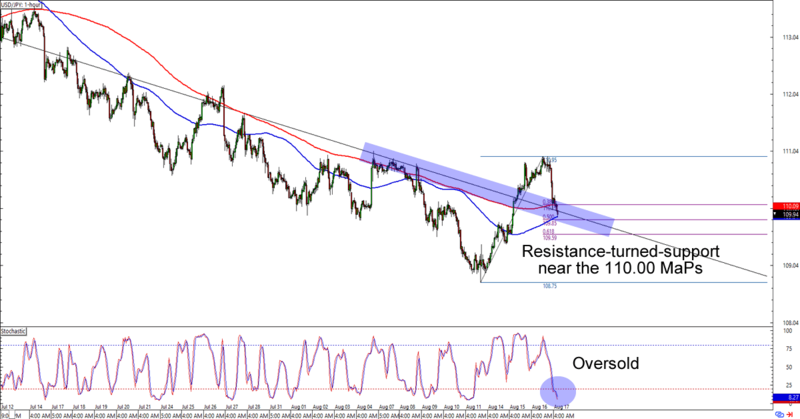 Let’s get you sorted out with these hot trend and reversal plays on USD/JPY and NZD/USD! USD/JPY broke above a falling trend line resistance earlier this week to test the 111.00 major psychological handle. It has gone back down to 110.00, though, and bulls and bears should take notice. As you can see, the 110.00 MaPs is right smack at the broken trend line near the Fib retracement levels. Not only that, but it’s also right around the 100 and 200 SMAs on the 1-hour time frame. The cherry on top of the sweet setup is an oversold stochastic signal. Think the scrilla is in for a thrilla? Buying at the earliest signs of bullish momentum could be a good play for you especially if you think that the dollar will head back to its highs near 113.00 – 114.00. If you’re one of them dollar bears, though, then you could also wait for the pair to drop below said support levels and trade a possible return to the previous lows (and beyond!) Whichever bias you choose to act on, make sure you stick to your trading plan when you execute your trades! Here’s one for longer-term traders out there! NZD/USD is forming what looks like a head and shoulders pattern on the daily time frame. The .7225 handle is currently serving as support, which is convenient for bulls who are also looking at the oversold stochastic signal. The “support” could still be a “neckline,” though, and could lead to a breakout as strong as 350 pips if broken. Is NZD/USD headed higher after receiving support from .7225? Or are we looking at signs of exhaustion for the bulls? Watch the next candlesticks closely for clues on which direction the pair will go!